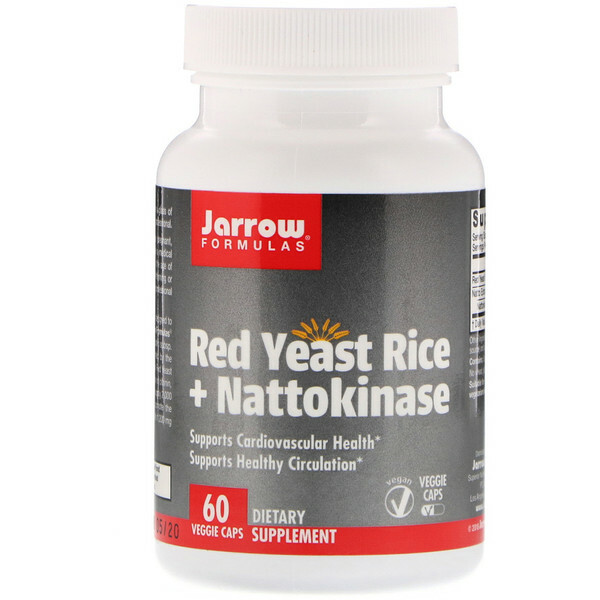 Jarrow Formulas Red Yeast Rice + Nattokinase is designed to support cardiovascular health and circulation. 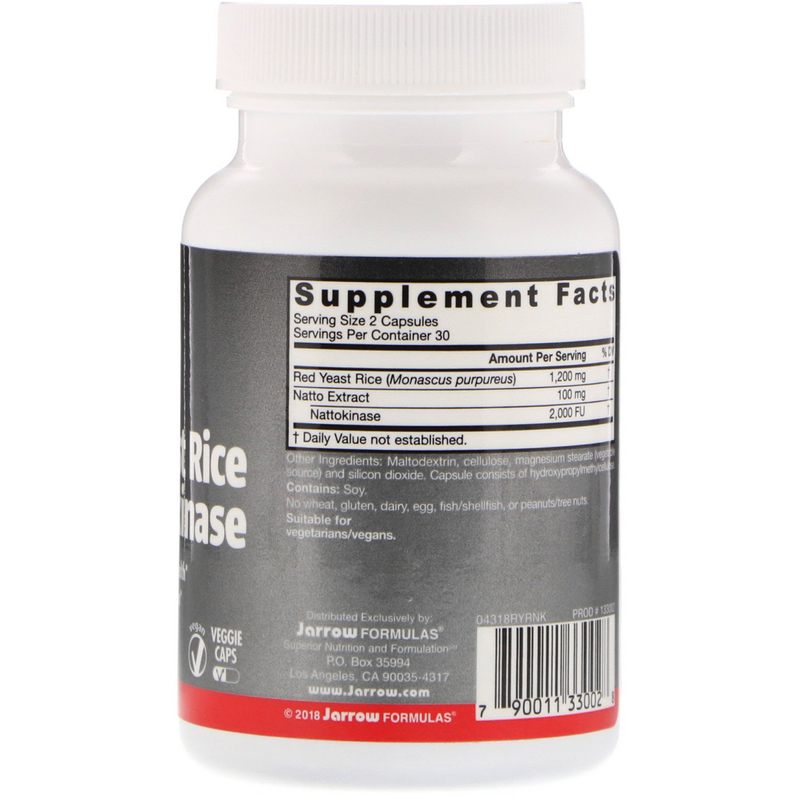 Jarrow Formulas Nattokinase is made via fermentation by Bacillus subtilis subsp. natto and then purified. Red Yeast Rice is fermented by the yeast Monascus purpureus. Jarrow Formulas uses Red Yeast Rice that is carefully fermented to avoid the presence of citrinin, a naturally-occurring mycotoxin. Each two capsules supply 2,000 Fibrinolytic Units of activity from nattokinase to promote the breakdown (hydrolysis) of fibrin and - in conjunction with 1,200 mg Red Yeast Rice extract - support healthy circulation. Take 2 capsules per day with a meal or a glass of water or as directed by your qualified healthcare professional. Do not use this product if you are pregnant, lactating or trying to conceive. Note: If you have a medical condition (especially bleeding disorders), are under the age of 18, or taking medications (especially either blood-thinning or blood-clotting medications), consult your healthcare professional before using this product.